Are you concerned about asbestos in Nottinghamshire? Crucial Environmental is a team of highly experienced asbestos specialists offering a full range of asbestos services across the county from Nottingham and Worksop to Mansfield and Ashfield. We can deal with everything from asbestos surveys to removal, so don’t hesitate to contact us at info@crucial-enviro.co.uk for details. All business owners, building managers and those responsible for tenants have a duty to draw up an asbestos management plan to minimise the risk of asbestos for individuals. On the other hand, if you are a homeowner worried about asbestos, it is natural to be concerned as to whether it is present and if it could potentially cause harm to you are your family. In both of these scenarios, the first step in the process is to have a full asbestos survey carried out. The team at Crucial Environmental has extensive experience in carrying out asbestos surveys in homes and properties across the country. 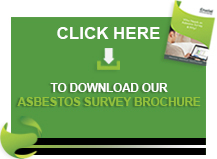 Our surveys provide fast and accurate information about asbestos and asbestos-containing materials (ACMs) in your property, and can provide you with advice on the steps you need to take to deal with it. For commercial property and business owners, our surveys provide you with the details you need to create an asbestos management plan. As a key part of our service, we provide asbestos testing. If, during a survey, we encounter any potential ACMs, we take a sample and have it sent away to a UKAS (United Kingdom Accreditation Service) laboratory to be analysed. Results are typically back to us within 24 hours of taking the survey, but in urgent cases it may be possible to expedite this process. After the survey and testing has been completed, we present you with an asbestos report on the property which will supply assessments of the current state of any asbestos found and recommendations for managing or removing it. We additionally provide a full range of asbestos services including everything from removal and office strip out to air quality testing and asbestos waste collection. Speak to our team and we can provide you with information on the services that you will be best suited to you. If you are concerned about asbestos at your home or at commercial or industrial premises in Nottinghamshire, please don’t hesitate to get in contact with the team at Crucial Environmental today. We can provide you with advice and guidance on the steps to take and organise any asbestos services that you require. You can call the team directly on 01623 711080 where a friendly and experienced member of staff will be on hand to help. Alternatively, email the team at info@crucial-enviro.co.uk and we will get back to you as soon as possible. Crucial Environmental has a dedicated office in Nottinghamshire based in Sutton-in-Ashfield.